UBC’s Centennial year will officially launch on Wednesday, September 30, 2015, the 100th anniversary of the first day of classes. To mark this historic milestone, we are inviting the university community to join us at UBC100 at Lee Square from 11:00am to 2:00pm on September 30 at Money and Raymond M.C. Lee Square (outside UBC Bookstore). Come out and enjoy some great performances and grab your lunch from one of the food trucks around the square. Between 12:00pm and 1:00pm, we will recreate the iconic ‘UBC’ photo taken at the end of the Great Trek in 1922 in the shape of the UBC100 logo. Rain or shine, we hope you can take part in this historic photograph! Optional: Wear a navy blue shirt. Please dress appropriately for the weather. Waiver: By registering to be a volunteer for the photo I hereby give The University of British Columbia (“UBC”) permission to use images of me (including any motion picture or still photographs made by UBC of my likeness, poses, acts and appearances or the sound records made by UBC of my voice) (“Images”) for any purposes in connection with promoting UBC and its activities (the “Purposes”), which may include advertising, promotion and marketing. UBC may crop, alter or modify Images of me and combine such Images with other images, text, audio recordings and graphics without notifying me. I understand that my personal information, including Images of me, is being collected pursuant to section 26 of the Freedom of Information and Protection of Privacy Act, R.S.B.C. 1996, c. 165, for the Purposes. I consent to my name and any other information provided by me to UBC being displayed in connection with the appearance of my Image. I consent to any of my personal Information, including Images of me, being stored, accessed or disclosed outside of Canada. Rare Books and Special Collections at UBC Library is proud to host a new exhibition, The Right of Every Child to Become a Reader, sponsored by the International Board on Books for Young People (IBBY). 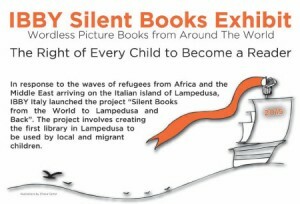 In response to the waves of refugees from Africa and the Middle East arriving in the Italian island, Lampedusa, IBBY launched the project “Silent Books, from the world to Lampedusa and back” in 2012. The project involved creating the first library on Lampedusa to be used by local and immigrant children. The organization went on to select a collection of silent books (wordless picture books) that could be understood and enjoyed by children regardless of language. These books were collected from IBBY National Sections, over one hundred books from over twenty countries. Now IBBY has organized a traveling exhibition with stops in Vancouver, Edmonton, and Toronto. A collection of wordless picture books from around the world, curated by local illustrator, author, and teacher Kathryn Shoemaker, will be on display at Rare Books and Special Collections from October 1-23, 2015. Learn more about the traveling exhibition here! The exhibition is free and open to the public Monday through Friday, 10 a.m. to 4 p.m. at Rare Books and Special Collections on the first floor of the Irving K. Barber Learning Centre. 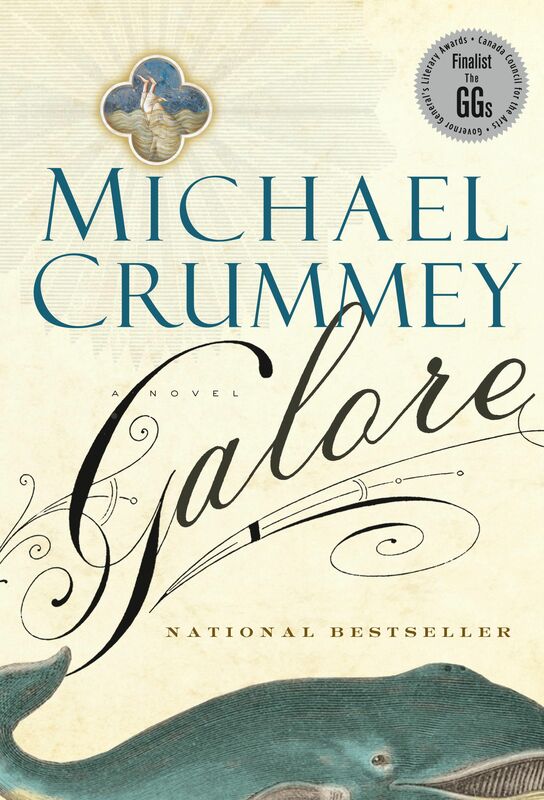 This bibliography resource guide will help you find more information at UBC Library and the Irving K. Barber Learning Centre on rural Newfoundland that would complement your reading of Michael Crummey’s Galore. The guide draws mainly on the collection in the Humanities and Social Sciences Division at Koerner Library. An intricate family saga and love story spanning two centuries, Galore is a portrait of the improbable medieval world that was rural Newfoundland, a place almost too harrowing and extravagant to be real. Remote and isolated, exposed to savage extremes of climate and fate, the people of Paradise Deep persist in a realm where the line between the everyday and the otherworldly is impossible to distinguish. Francine Cunningham is an Aboriginal writer, artist and educator originally from Calgary, Alberta but who currently resides in Vancouver, British Columbia. Francine is a graduate of the Master of Fine Arts program in Creative Writing from The University of British Columbia. She also has a Bachelor of Arts degree in Theatre from UBC. Francine was a participant in the 2014 Indigenous Writing Studio at the Banff Arts Centre and placed second in the 2014 Our Story: Aboriginal Arts and Stories contest. Francine’s work will appear as part of the 2015 Vancouver Active Fiction Project. You can also find her work in Hamilton Arts and Letters, Echolocation Literary Magazine, The Puritan, Kimiwan’zine, nineteenquestion.ca and The Ubyssey. For more information you can find her at www.francinecunningham.ca. $10 per person. Light refreshments will be served. Please RSVP online before Tuesday, October 27, 2015. Questions? Please contact Karolin Konig at 604-822-8939 or at karolin.konig@ubc.ca. Please Note: Books will not be provided so please make arrangements to obtain a copy to read before the Book Discussion. Books are available at the UBC Bookstore.